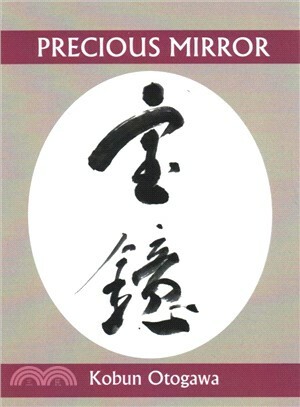 A true companion for the journey, Precious Mirror, combines Kobun Chino’s brilliant calligraphy with translations of the poems into English enface. Kobun Chino Otogawa was an instrumental figure in the transmission of Zen to America and its evolution within our culture. Although he came to assist Shunryu Suzuki at the San Francisco Zen Center, Kobun was enamored of the way Zen, unfettered, blossomed in new soil and he followed it wherever it grew. For Kobun, Zen was not an institution, but the elemental nature of every aspect of our lives and existed in myriad forms. Kobun founded four temples, taught Buddhism at Stanford and Naropa University, demonstrated and taught Calligraphy and Archery. When Steve Jobs founded Next Computer, Kobun was listed as it's Spiritual Director. Kobun Chino Otogawa Roshi was born in Kamo, Niigata Prefecture, Japan in 1938. He was from a long line of Soto Zen priests. In 1967 he was asked by Suzuki Roshi, the Zen priest who started the Zen Center in San Francisco, to come to California to help establish Tassajara. Kobun taught there, and in various other temples for many years. He also held the the World Wisdom Chair at Naropa University. Kobun was a skilled calligrapher, painter, and was a master of Zen archery. He died tragically in 2002 trying to save his young daughter who had fallen into a pond; they both drowned. Kobun’s fame outside of the Zen community rests with his connection to Steve Jobs. Kobun taught Jobs Zen, lived in his house for a time, and married Jobs and his wife. Kobun is the subject of a graphic novel depicting his relationship with Jobs, The Zen of Steve Jobs. Gary Young is a poet and artist whose books include Hands, The Dream of A Moral Life, Days, Braver Deeds, Pleasure, and Even So: New and Selected Poems, published by White Pine Press. His book No Other Life won the William Carlos Williams Award, and in 2009 he received the Shelley Memorial Award from the Poetry Society of America. His latest book, That’s What I Thought, won the Lexi Rudnitzky Editor’s Choice Award from Persea Books. He teaches Creative Writing and directs the Cowell Press at UC Santa Cruz.